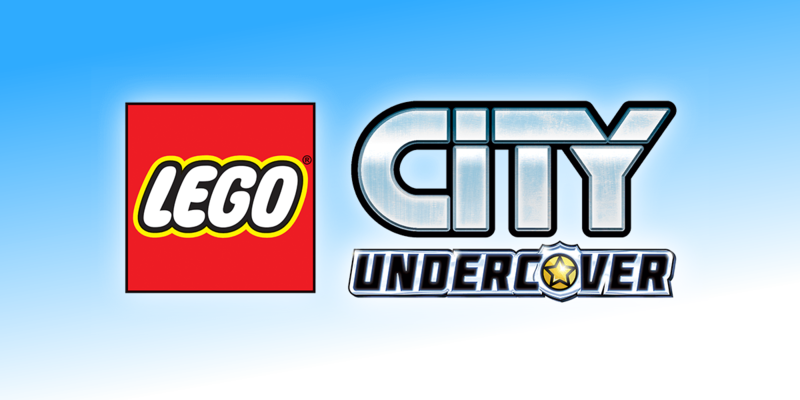 Unlike TT Fusion’s other Lego video games, Lego City Undercover was the first Lego game to actually use Lego’s own franchise characters and setting instead of one born from brickified versions of a film. The game stars Chase McCain, a cop who had been sent away from Lego City for two years following his apprehension of the notorious criminal mastermind, Rex Fury. The reason for McCain’s return is the resurgence in crime in Lego City, and naturally, Rex Fury is behind it. 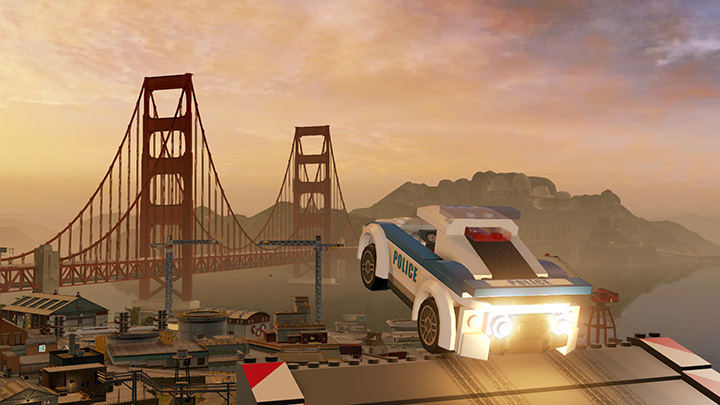 Can Chase hunt down the crazy criminal and restore peace to the bricks of Lego City? 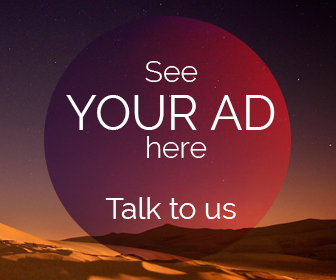 Well, that’s up to you, of course. Lego City Undercover is a sandbox game set in Lego City, and you’re mostly free to drive whatever, break whatever, and explore wherever you want. Puzzles are locked away behind the various disguises that Chase can don, and the story missions serve to unlock these disguises and costumes. 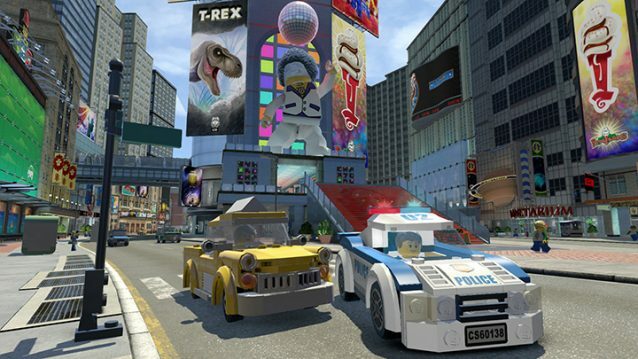 The game is big and vibrant, and Lego City itself is a delightfully alive environment with tons to do, even when you don’t factor in the game’s big story missions. There are secrets to be found and bricks to collect and things to build and since much of it is open from the start, it can feel a little overwhelming. On the other hand, your police colleagues will nag you with nary cessation to follow the story missions closely, so exploration soon becomes an exercise in ignoring the nagging. That being said, once you’ve unlocked a fair number of the disguises, the whole place opens up a lot more, so it’s worth getting through enough of the story initially. Since the game is a port of the Wii U version, lots of little nods to Nintendo have remained in the Switch version of the game that were removed from the others. In other words, the Switch version is the definitive version of the remaster, despite the removal of the touch and motion controls. I ran into some very odd issues with the game depending on whether the Switch was docked or not, though, and it seems that there are still bugs that plague the game when running in undocked mode. For example, there’s a section early on where you need to give chase to some criminals in your car. When I had the Switch undocked, the car did not respond to the controls at all. In desperation, I docked the Switch, tried that section again, and voila! It works! I’m not certain why this happened, but the lower power undocked mode seems to have the occasional issue. That being said, the game is still gloriously vivid and detailed on the Switch’s screen, and when it worked, it was a joy to play on the go. Lego City Undercover, despite the niggles, was still fun to play, and I loved that Lego City was so hugely explorable with so many secrets, not to mention the pop culture references. Some of the references are dated enough that kids playing the game won’t get the joke, but adults definitely will, and beyond the Nintendo references (Bob-ombs, Bullet Bills, Grand Stars, a call-out to Donkey Kong, and more!) 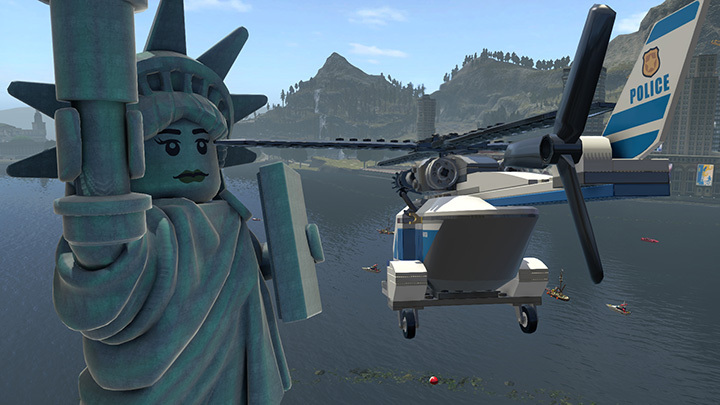 you’ll find references to many movies from Titanic to Shawshank Redemption to the Matrix, as well as games such as Grand Theft Auto. Sadly, none of the dialog was updated to include newer pop culture references, but that’s the price you pay for remasters. 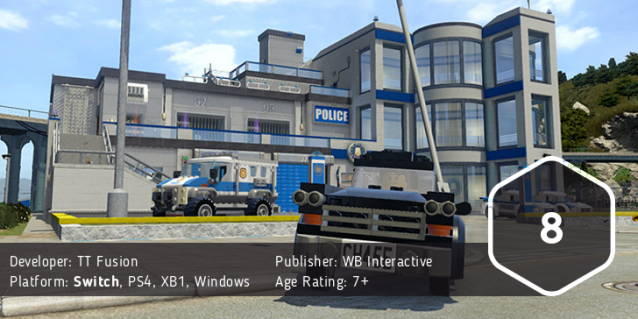 If you own a Nintendo Switch, I really suggest getting this version of Lego City Undercover, purely because of the Nintendo references you won’t find in the PS4, XB1, or Windows versions of the game. The ability to play it wherever you take your Switch is another huge plus, and the game will run you a good 20-odd hours to just beat the story mission (more than double that to locate everything and actually complete the game), so there’s a decent amount of play to be had here. It’s kid friendly and adult friendly, and despite the dated jokes, is still funny. If you already own this on Wii U, this isn’t a must-have, but for everyone else, you should absolutely play it. The best thing about this remaster? A larger group of people will get to play and enjoy this masterpiece of humor.